Danny V's 52nd Street Band is a full-scale, 6-piece, live Ledconcert show, re-creating the performances of arguably the greatest rock and roll keyboard player ever — the "Piano Man"... Billy Joel. Invariably, no matter where you see 52nd Street, it will only be a few minutes before someone near you says, "Close your eyes... it sounds just like Billy Joel". 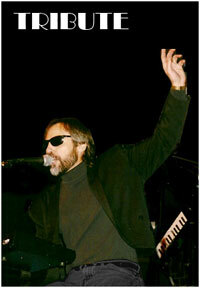 Perhaps NJ's #1 entertainment weekly, Steppin' Out Magazine, said it best: "So much like Billy Joel... It's SCARY!" minutes before someone near you says, "Close your eyes... it sounds just like Billy Joel". Led by the fantastically talented pianist and showman Danny Vechesky (Danny V) the 52nd St band has become the ultimat tribute to Mr Joel's music and stage show. 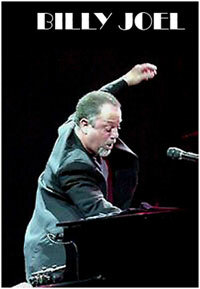 52nd st offers the best of Billy Joel, covering his entire career from the 70's, 80's and 90's. So much like Billy Joel, it's scary.